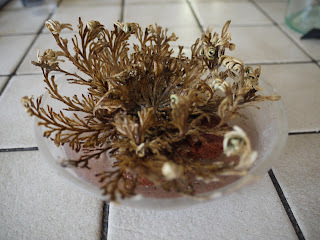 It survives by rolling up in times of drought, rolling away to where there is water, and then unfurling again. The Dinosaur plant is a remnant of an ancient time when there were dinosaurs, and I like to think of it surviving all the catastrophes that wiped everything else out. 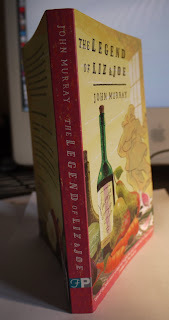 Age often imparts a wisdom but novels seem to rarely feature the elderly as protagonists, so I was interested to read The Legend of Liz and Joe given to me by the Booker long-listed and highly acclaimed author John Murray. Joe Gladstone and his wife are in their seventies, and a few years ago Joe's uncle left him a grand old farmhouse and a small fortune which he has squandered on converting the farmhouse to an extremely select guesthouse. 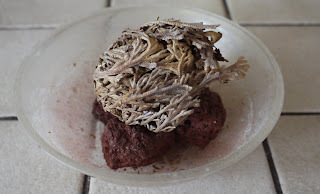 Joe is a vegetarian cookery writer of some renown and he treats his guests to sumptuous banquets (described in vivid, mouth-watering detail) but admission to the guesthouse is only by Joe's quirky and rigorous selection process. His guests have to be interesting and share Joe's highbrow tastes. Joe is also writing a story called 'Galluses Galore' and this is excerpted throughout the book. It is also set in Cumbria (in the extreme northwest of England) and Joe is writing it in response to a challenge by a businessman to write a story in Cumbrian dialect. This gives John Murray the chance to not only demonstrate this dialect to comic effect, but also give some very interesting background information on how it is derived from Norse. Thankfully this is all translated into standard English because it would be difficult to follow if it were not. There is a handsome prize for the winning story of £50 000. The plot of 'Galluses Galore' is a surreal one: it is set a few years in the future and the wearing of braces has become compulsory. Everyone stupidly complies except for one Fenton Baggrow, who is of mysterious means. Joe, it soon transpires, is a bitter man. His acidic comments about the world are profound and hilarious in equal measure. Although an exquisite chef, he and his acclaimed cookery books do not make money, and he has had to be supported though his life by Liz who has her own interior-design business. The windfall late in life could have meant that she could have retired at last, but of course the peccadilloes of her irascible husband have prevented this. Instead, after a life-time of faithfulness, she has embarked on an affair with a younger man in his early sixties (but would pass for someone aged 50) - Patrick Garnett. 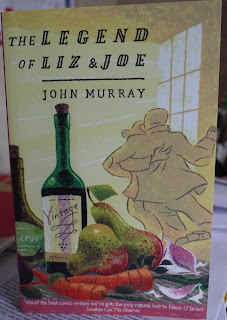 Liz is over this now, having spent over a week giving Joe her tearful confession which understandably adds to Joe's bitterness, but these passages describing Liz's motivations make weirdly inspiring and mesmerising reading: as Joe points out desires and viewpoint often do not change with age. Soon after this confession, the couple's son, Desmond, comes to stay, but in fact is driven away by his father's vitriol. Desmond has made a living pandering to popular tastes. At the start of his career Desmond made the discovery that in order to attract people to council events he has only to put on an act involving a clairvoyant or a tribute band, and they will come in droves. The tribute band symbolises what is wrong with Joe's world: they were not only the initial cause of Liz's revelatory moment, but her ex-lover, Patrick Garnett was 'a tribute to himself at fifty; he had become his own best and amazingly life-like homage.' It is also society's preference for celebrity cook-books (another sort of tribute-band) rather than Joe's higher quality brands that has caused his earlier dependency on the income of his wife. Non-compliance, and the inability of both Joe and Fenton Baggrow (the hero of Joe's story 'Galluses Galore') to comply with society's mores is at the heart of this book. They make their own way, and regard the sheep-like unquestioning following of celebrity (and the fake-celebrity of tribute bands) of the masses with contempt. It is as mindless as obeying a law on trouser-support. Joe likes to consider himself to be above it all, but it takes one of the sheep, Desmond the inflexible monoglot to reveal the truth: ' You would like nothing better in the whole world for me to be a copy-cat but inevitably an inferior version of yourself.' Something that perhaps Joe could do with translating into Cumbrian. 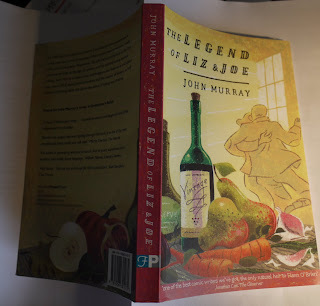 The Legend of Liz and Joe is a profound book. The writing is witty, relevant and there are passages that are strikingly beautiful. This is apparent immediately, but there is more to the book than this. Like the dinosaur plant the ideas took a little while to unfurl in my head. And like the dinosaur plant, I think they will persist. Sounds like a very good read, indeed. Good review, too. It's going on The List. Yes, Jud and Marly - I highly recommend! Thanks Ojimenez - I like that - fluent, swift and sweet! An Interview with Paul Halpern. Planning my Life of Literary Hedonism.